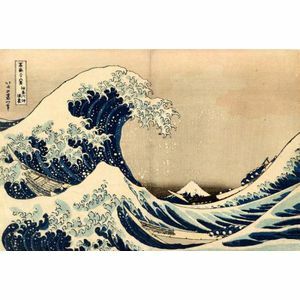 Hokusai: Under the Wave at Kanagawa, from Thirty-six Views of Mt. Fuji, blue outline, a moderately early impression showing slight breaks in the key block, the black sky-line below the tip of Mt. 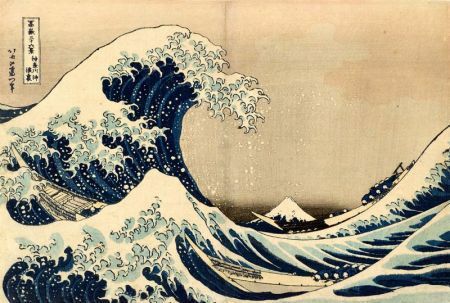 Fuji, and the light blue tone block recarved, (fine impression, color, and condition, center fold, and minor soiling and rubbing).